An easy and safe way to conquer the itch and need to scratch that comes with bug and mosquito bites. An essential for those who forget put on their mosquito repellent! By clicking Zap-Ease near the bite numerous times it localises the poison in the bite and prevents histamine releasing, which is what creates the feeling of wanting to scratch. So as a result the bite has been neutralised avoiding skin damage and avoiding the nasty swelling and inflammation that comes with mosquito bites. A sustainable alternative to harmful repellents. Incognito also donate 10% of their profits to environmental charities. Note: Suitable for those aged over 2 years. Not to be used by those with a heart pacemaker. Although Incognito repellent spray is suitable for pets, the Zap-Ease is not. The Incognito Zap-ease Instant Bite Relief product ethics are indicated below. To learn more about these product ethics and to see related products, follow the links below. 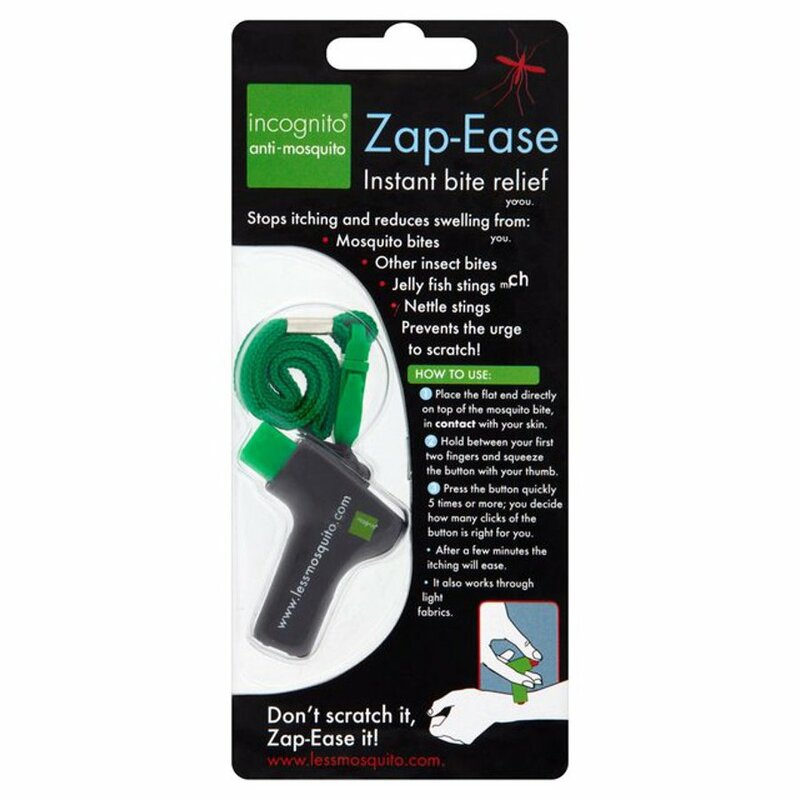 There are currently no questions to display about Incognito Zap-ease Instant Bite Relief.